Brady Fails Post-Debate Response – Again. We all know that the Brady Campaign made up their own history of the first Presidential debate by talking quite elaborately about questions that weren’t asked and answers that weren’t offered. You’d think after a big flub like that, they would learn to just stop and read before things go out the door on a deadline. “Since the massacre at the movie theater in Aurora, Colorado, the Brady Campaign has been leading a national conversation asking the presidential candidates to offer solutions to gun violence. We applaud Ms. Rodriguez tonight for joining this national conversation by using her question at tonight’s town hall to press President Obama and Gov. Romney for solutions to gun violence with assault weapons. Let’s see how long they stand by their new made up name for Nina. So far, we’re going on 40 minutes since the tweet and they are standing by their mistakes… I’ll update this comment as more time passes. -We’re over an hour now with no effort to correct the name. Poor Nina. At least gun rights advocates care enough to get her name right. -We’re more than an hour and 15 minutes after their press release with their own fictitious questionner, and they are choosing to let the errors stand on Twitter, Facebook, and the press release. I have no idea what they have against Nina’s real name, but it’s obviously a pretty big beef. With that, I’m going to bed. -It’s been more than 9 1/2 hours, and we’re still seeing the fake name posted. -AND down the memory hole she goes! It looks like they finally erased the fake Nina Rodriguez around 1pm. That’s about 14 hours after they made up this new activist. Correct name or not, this was a minor victory for Brady by even having the question asked on the national stage. But it’s clear that the assault weapons ban just isn’t important to anyone outside of Brady. Yes, Obama said he favored reinstating it and didn’t want battlefield weapons on our streets. Ho hum. Of course he’s going to say that. He wasn’t getting my vote anyway. But even Obama moved off of the AWB, and turned to the violence problem overall and how an improved economy could reduce it. The moderator also didn’t push for any follow up questions about it. Nevertheless, it was a successful attempt by Bloomberg, Brady & Co to just be noticed again. Except Brady didn’t mount a campaign to put a question into this debate. Actually, MAIG is claiming credit for the planting the question. And while you clump Brady & Bloomberg together in terms of failure of achievement, I think they have to be viewed distinctly. Brady was once considered to be the top gun control group. They were professional, they worked in the realm of public policy, and they had a real media game going on. Now, they put out mistake-laden reports and screw up not one, but two, presidential debate announcements when that had been a key effort by them the first time. They have completely abandon the policy realm and won’t even talk about specific legislation anymore. They also haven’t gotten the exceptionally favored coverage they used to get, when it can even get coverage at all. Then you look at Bloomberg’s group, and that’s the space they are working their way into filling. They are have professionals on staff (one who even knows how to send a jab to those other gun control groups based on the tweet in the next post), they are only working on specific policies, and they are making themselves the new media go-to people on the issue. So while you view this is a broad issue of one question, and I can see that discussion as being a reasonable one, I am viewing this is as one more move by Brady to fall into irrelevancy. Good points. But I think the difference in abilities has to do with funding – not ideology. It’s handy for MAIG that they have their own billionaire on staff. I would agree with you 100% save for the fact that we’ve gotten a glimpse of the mindset of the Brady board through Joan Peterson’s blog where we learn that their leaders have insulated themselves so much from any conversation with political opponents that they might encounter. So while I do handily acknowledge their financial resource problem that can keep away top talent, I also think we’ve seen enough insight into the Brady board mindset to see that they are purposefully choosing this path that will leave them out of any serious policy discussion by adults in the room. I mean, come on, we’ve seen their board member have bizarre one-sided conversations with herself on her blog. It’s really kind of creepy how far she goes to keep from having any sort of reality-based discussions about the issue she claims is so dear to her. Ah, yes. Joan Peterson. Queen of the dim, dull and dowdy crowd at Brady. The one thing they assiduously avoid is calling for a ban on guns because they know that the American public would reject them utterly. And any of their other ideas, like registration, limits on mag capacity, licensing, no concealed carry, etc. have neither logic nor political traction behind them. So, Joan wrings her hands and pleads for common sense, but shuns it when presented to her. Hmm, that gets me thinking. It’s not quite “the enemy of my enemy is my friend”, but maybe I’ll join Brady just to lobby for Joan’s ascension. 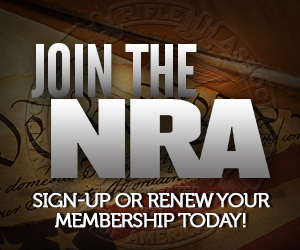 Then their membership will dwindle to the 3 or so anti gun rights commenters she has on her blog. Of course, if I do that, I’ll have to purify myself with some recoil therapy. Plus, getting back to finances a bit, I’m not sure they could afford the kinds of efforts that NRA goes through to actually offer an election where they send out 1,596,869 ballots. It’s not just finding a firm to accept and count the votes, but even the postage for that many ballots would take a bite out the Brady budgets. Sorry, but boards 15% the size of the NRA’s are notorious for being completely ineffective at controlling the executives of an organization (and this is a very well studied issue, given how much money rides on it in the corporate investing world). That plus the “no more Cincinnati Revolt actions of the Winning Team make today’s NRA almost as unresponsive as the Brady Bunch, although at least the former is honest about membership. If there’s no effectiveness in controlling the executives of the Brady Campaign, then how come Helmke ended up out of a job when he told the media he wanted to continue, but the board wouldn’t renew his contract. Like it or not, that is a form of control. Hiring the new guy is also a form of control. The board of any organization shouldn’t be controlling executives on day-to-day operations. That’s why executives are in the position and staffers are hired to handle specific duties under them. The board is a simply a broader check on the organization. Errr, my comments were entirely about the NRA. I had no idea about the details of the corporate governance of the Brady organizations, like their board sizes. OK, they apparently have 19 board members (this was hard to find and is from a secondary source at best). That is significantly above the threshold I mentioned, but boards often do make serious decisions during existential crisis like the Brady Bunch is going through … and the Brady Bunch is atypical in that it sounds like they may have more board members than employees, and there’s little to be milked from the organization by the executives or their associates. Compare to the NRA: big, big budgets, and curiously a lot of money sent to Ackerman-McQueen to send you all scads of junk mail. If the picture is correct, I think the questioner is Nina E. Fedirko-Gonzalez who is a licensed clinical social worker on Long Island. I haven’t been able to find any contributions made by her to either Obama, Carolyn McCarthy, or local candidates. Comparing the faces it looks like the same woman. I would say you are absolutely right. Whether you want to count it as a “victory” for anyone or not, it is probably true that, thanks to that question, a very large percentage of NRA members now know for the first time that their organization has endorsed a gun-grabber. And surprisingly, that came out thanks to the moderator, who pointed out that Romney signed the permanent assault weapon ban in Massachusetts. I had expected Obama to be all over that himself, but he didn’t grab on to it all that hard, even after Candy handed him the opening. From the perspective of my personal prejudices, I found Romney’s comeback not only weak, but scary — essentially saying he had found enough allegedly pro-gun forces in his home state to provide cover for him doing it. My personal prejudice has grown from, that’s what the Republicans and the NRA did to pass our last major gun control initiative here in Pennsylvania. Except for the minor detail that it was always permanent, as has been every other AW ban but the Federal one. So “a very large percentage of NRA members now know” a lie. Which follows the historical pattern, at least before the New (Internet) Media, where their opinion of the organization was shaped more by the MSM than anything else :-(. It’s my understanding that Crowley “Cherry Picked” what questions would be answered. And her “Fair and Balanced” way of running the Debate was a Total Farce. So this is what, the Third Debate the Romney/Ryan Ticket has had to go up against 2-1 odds? Actually, I have never seen a “town hall” format debate where the questions weren’t cherry-picked; at least in the sense that the moderators have to make choices of what questions to use, and will apply their own preferences, prejudices, and priorities in making the selections. About the only alternative I could imagine is having people line up at the microphone and ask their own unscreened questions on a first come, first serve basis. Then there is the risk of getting questions about UFOs and Bigfoot. Rodriguez. Gonzalez. Whatev… all them brown people look alike, and we don’t want them to have guns. And a social worker from Lonk Island wanted a gun ban? Color me shocked.